Police certificate requirements- Request letter? Hi y'all! We got our NOA2 for our i-130 last week! Yay!! We filed in January so kinda expected this to take longer, and hadn't really researched too extensively what was next! Trying to get things in order so when we get a case number from the NVC we'll be ready to go. 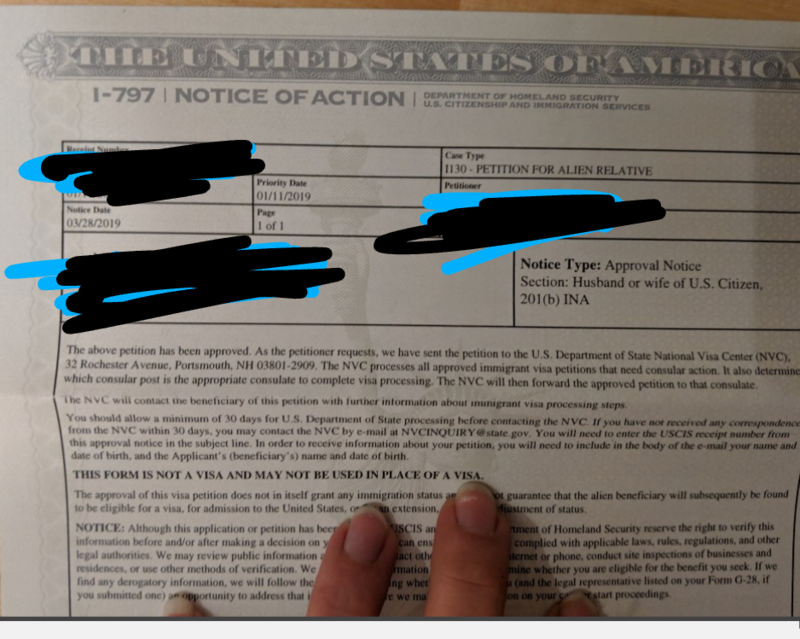 Question about the police certificate. I know as of last year, we need a fingerprint based one. The RCMP and USCIS instructions were clear and straightforward. The RCMP directs you to local police for fingerprints. My husband lives in London, ON and on their site it states you have to have a request letter to be fingerprinted. Does anybody know if this is the case? If so, do we need to wait for paperwork before he can get his police certificate, or is there a workaround? Wow? I am shocked your petition was approved in 2-3 months? How is that possible lol. You sure about this, unless your case was expedited for whatever reason I don't see how it is possible O_O. As for finger printing, you could do what i did, open google and type "Finger print services" find one close by and give them a call and ask if they can give you a "criminal records check under the privacy act for immigrating to USA"
Honestly I was shocked myself, our priority date was January 11 and our approval was March 28! We were at Potomac service center which seems to be faster, but we had kinda anticipated getting the NOA2 in late summer, so hadn't done a lot of research on the next steps! I'll ask my husband to check that out!